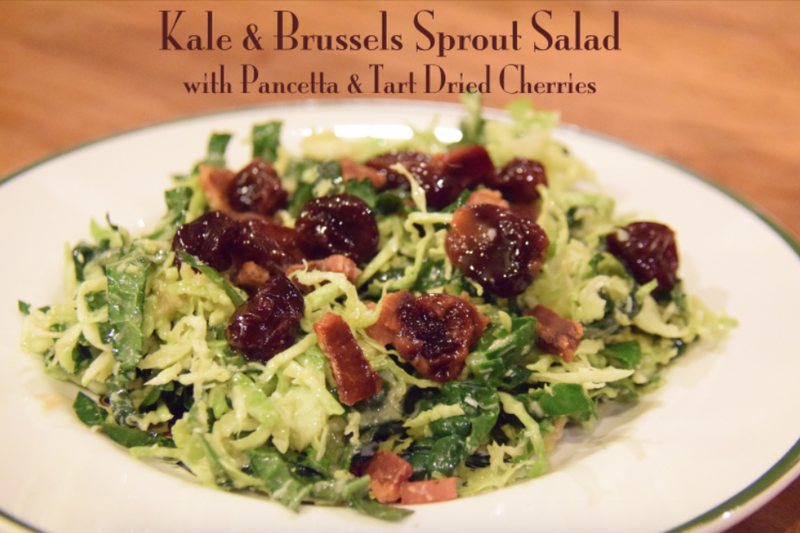 shaved kale and brussels sprout salad with pancetta and tart dried cherries | Is there any wine left? Now that you have discovered the wonders of Brussels sprouts salad, Google the recipe for La Grande Orange in Pasadena. It’s equally terrific. Looking forward to trying yours!